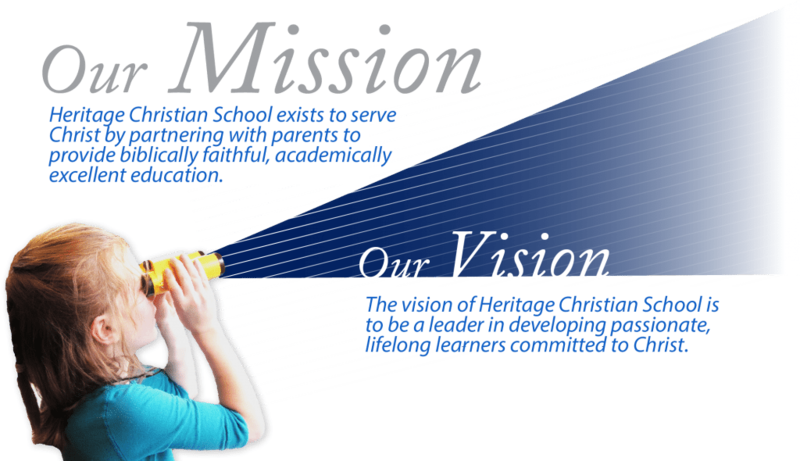 Heritage Christian School is a pre-kindergarten through eighth grade inter-denominational Christian school founded by a small group of families who deeply desired Christian education for their children. The doors opened in the fall of 1992 with 37 students in a small building that was formerly a day care on First Avenue in Iowa City. As demand grew for Christ-centered education, the program expanded from K-6 to K-8 in 1994. 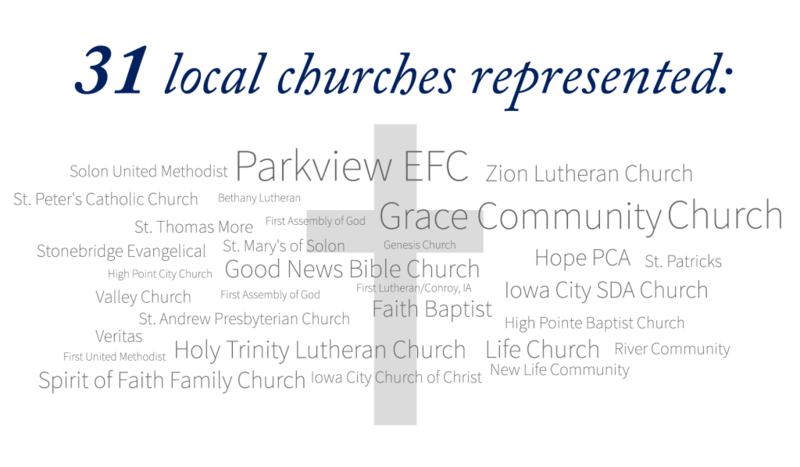 In need of additional space, God provided an ally for the organization in Grace Community Church in North Liberty, IA. The new relationship laid the groundwork for the construction of a wing attached to the existing church facility from which the school operated for 15 years. During that time, God opened the door for the school’s leadership to purchase 24 acres embedded in a rapidly growing community two miles from Grace with the intention of building a facility in the near future. While still tenants at Grace, demand for additional school space increased, and an annex building was constructed in 2004, providing an additional classroom and a library. Pre-kindergarten was added in 2005 to meet increasing need for this program in the community, and in 2006, the leadership of the school began to aggressively pursue the funding needed to construct its 25,000 square foot,$3.6 million building plans. God proved Himself faithful as in so many times before, providing the school with $2.3 million in cash by the time the three year pursuit was finished. 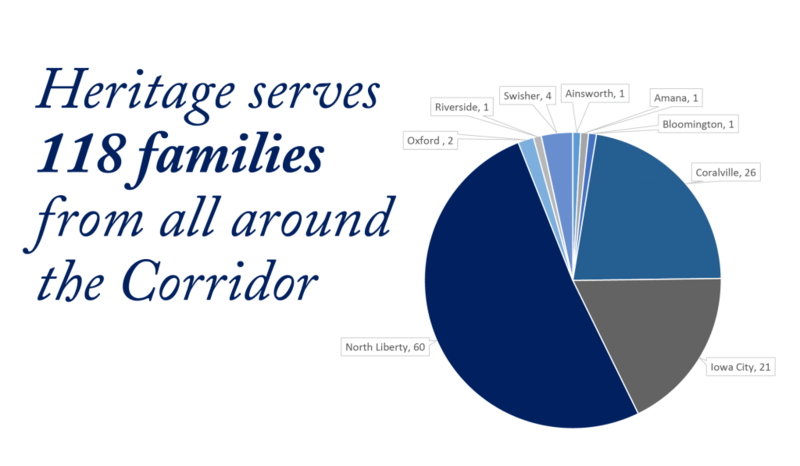 Today, as Heritage serves over 109 families and 174 students, Pre-K-8th grade, in the North Liberty, Coralville, and Iowa City area, the school’s impact is spreading even beyond these boundaries. Twenty-six full and part-time faculty and staff who have a passion for Christ, children and the school strive to fulfill the mission for which we exist. Our students graduate and move into the local high schools where they excel. Nearly every year in the public high schools, Heritage alumni are awarded the academic honors of Valedictorians, Salutatorians and/or National Merit Scholars. Heritage students in area high schools are readily recognized as well-behaved, respectful, hardworking and well prepared for the next segment of their academic journey. With the new facility only occupying a portion of the land purchased, the leadership of Heritage Christian School is looking strategically at the remaining 15 acres, laying plans to widen the positive influence that Heritage makes in this community.